Find the herb garden at the entrance to the orchard between the water efficient gardens and the orchard gate. 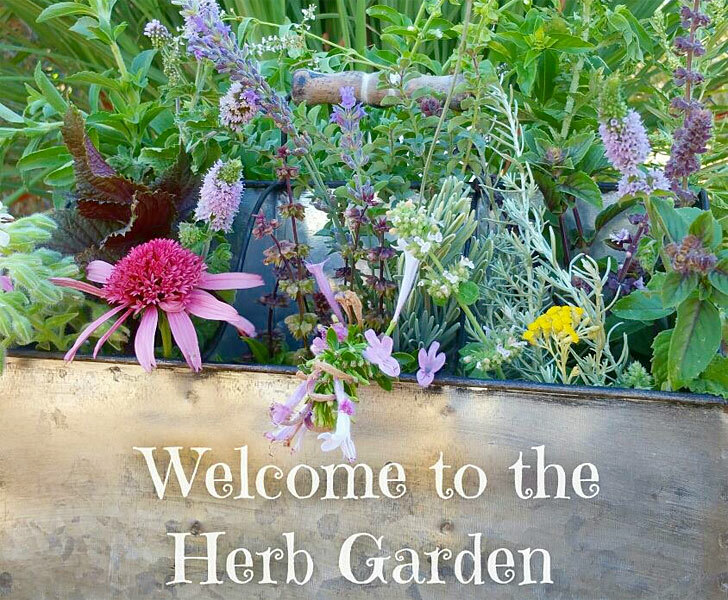 We hope you'll plan to visit us at an upcoming Open Garden or Workshop where we will share more about growing and maintaining herbs. For details about growing various herbs in your garden, visit our Grow herbs! page. The herb garden was created in April 2003 as a demonstration area. Several different types of lavenders are planted by the orchard entrance mixed with annual plantings and perennials. Raised beds were added in 2015 to provide the good drainage many herbs prefer. In 2008, terra cotta pipe planters were added. See pictures and directions for creating these attractive herb planters. This demonstration concept includes annuals and perennials to add color and interest to the herb garden as well. 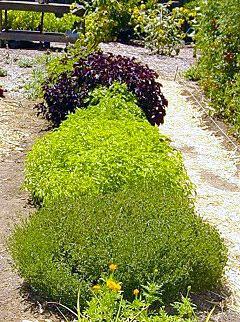 In 2004, basil trials were conducted to demonstrate the different varieties of basil available and how to grow basil to have an abundant harvest through the summer. Culinary herb profiles (PDF 77kb) includes a list of herbs and a brief description about growing each. For more herb growing resources, go to the Herbs page at left.